Because there has been a lot of violence and other problems in schools across the country in recent years, more and more parents, school administrators and faculty members at schools are beginning to take a more serious look at safety and security. Although no one wants a child to ever get harmed, many people simply have not realized just how many bad things can happen at a school. This is beginning to change, however, and you should consider the importance of school safety on many levels. Nowadays, it is important for schools of all sizes and grade levels to utilize surveillance cameras in order to keep students, faculty and visitors safe, but many people wonder where to install surveillance cameras in a school. Not only do people wonder where to install surveillance cameras in a school, but they also wonder if surveillance cameras are really necessary and if they can really make a difference in how safe a school really is. 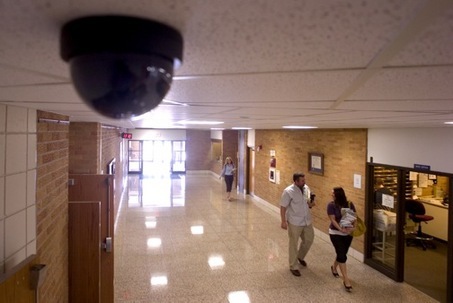 However, there are a lot of reasons to consider installing surveillance cameras in school. For instance, surveillance cameras can help cut down on shootings, stabbings, fights and other violence in schools. Although many people do not want to think about violence in schools, the truth is that it is more prevalent than most people want to admit. Not only have a lot of major shootings and other large-scale violent crimes happened in schools in recent years, but fights and bullying happen on a daily basis in schools across the country. With surveillance cameras, this activity can be slowed down or even halted. Violence isn’t the only thing that surveillance cameras can help administrators and faculty look out for, however. Tobacco, alcohol and drug use is more common around teens and pre-teens than many people would like to admit, and a lot of children attempt to use these substances on school property. It can be difficult for teachers and other staff members to keep a constant eye on every child, but surveillance cameras can help. Surveillance cameras can also help prevent children from bullying one another, misbehaving and breaking the rules or skipping class. Other crimes can be prevented or slowed down due to surveillance camera systems in schools as well. For instance, abductions can and do happen in schools every now and then, and parents should be worried about these types of crimes. Surveillance cameras can help faculty members keep an eye out for this type of criminal activity, however, and they can also help cut down on vandalism, theft and other issues that can become a problem for schools. It isn’t really possible for school administrators to install surveillance cameras in every part of a school, however, so it is important for these individuals to determine where to install surveillance cameras in a school. It is important for these professionals to install them in areas that will help them keep the closest eye on activity in and around the school and to place them where they will do the most good. Although every school is different and has different needs, these are a few places where surveillance cameras should be installed in most schools in order to keep children, parents, teachers, staff members and guests as safe as possible. When people think about protecting a school with surveillance cameras, they typically think about installing cameras inside the school and on the outside perimeter of the property, yet in a close proximity to the building. It is important to look beyond these areas in order to keep a school as safe as possible, however. For instance, all entrances and exits to the parking lot should be carefully guarded and surveyed for the best possible protection. There are a few reasons for keeping a close eye on these areas. First of all, the vast majority of people who will enter a school will come in through one of the driveways, and keeping a close watch on these areas will help ensure that school officials know everyone who has entered and exited the school throughout the day. This allows these professionals to have a clear understanding of those who have not only entered the school building itself, but also those who have come onto school property at all. Not only can this help cut down on violence, abductions and other crimes, but it can also allow administrators and local law enforcement officers to determine the culprit in the event that a crime happens on school property after the school has been closed for the day. Although having cameras at these entrances and exits isn’t a fool-proof way of seeing everyone who comes onto school property, it can certainly work as a great start. Parking lots of all sorts can be incredibly dangerous. In fact, you might be surprised by all of the crimes that occur in the parking lots of seemingly safe and surprisingly busy retail stores and other areas, and you probably don’t think about the potential for danger in the parking lot of a school. There are a lot of reasons to keep an eye on any school parking lots with the help of surveillance cameras, however. For instance, monitoring the parking lot with surveillance cameras can help school officials keep an eye on who has been hanging around the school a lot, regardless of whether they enter the building or not. It can also allow these professionals to keep an eye on who each child leaves with after school every day; this information can be invaluable in the event that a tragic crime occurs. Other behaviors can be watched out for with parking lot surveillance cameras as well. For instance, drug or alcohol use could take place in the parking lot, or those who park in the parking lot may go elsewhere on the property with the intention of committing a crime. With these surveillance cameras, school officials and parents can have a clearer idea of what is going on in and around the school, and surprisingly useful evidence can also come from this surveillance footage. 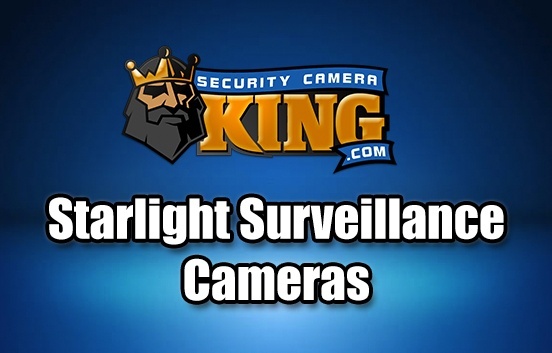 Lastly, parking lot surveillance cameras can also contribute a feeling of safety for parents and children alike. This can be especially useful in the event that people are at the school in the evening for a meeting, sporting event or other purpose. Along with keeping close surveillance on those who enter and exit the school’s parking lot during the day, it is also incredibly important to monitor each individual who enters and exits the school building, regardless of the time of day. This can really help contribute to safety in many cases. For instance, using these cameras can help ensure that no one who isn’t supposed to be in the school enters the premises during the school day. Faculty members who know who is supposed to be in the school and who isn’t can use these cameras to keep a close watch in order to ensure that visitors aren’t doing things that they shouldn’t. Even if no one seems to notice someone entering or exiting the school at the time, surveillance footage can be very helpful in the event that something does happen. Some schools have taken this level of security even further, which can be a great idea for many school systems. Instead of allowing people to come and go through the doors throughout the day with the hopes that they will head to the office in order to sign in and get a visitor’s pass, many schools require that these individuals ring a doorbell or buzzer before they are allowed entry into the school, and the surveillance cameras help teachers and other faculty identify everyone who comes to the door. Although this can require a bit of extra manpower in many situations, it can be a great way to keep the school safe. Along with using surveillance cameras at entrances and exits in order to protect students and staff during the school day, these cameras can also be used in the event that the school gets broken into or vandalized after school hours; in many cases, local law enforcement agents can use this footage as a means of determining who committed the crime. 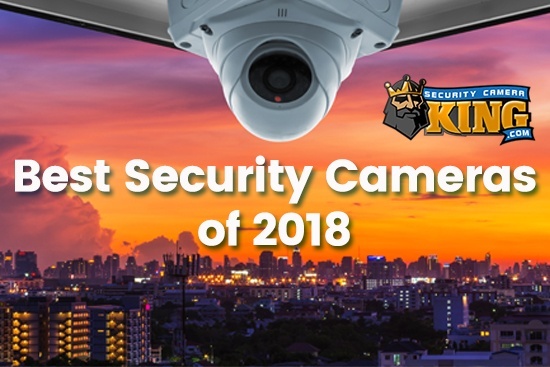 These cameras can also work as a great deterrent; someone who is thinking about robbing the school after hours or committing some sort of other crime might be scared away at the sight of surveillance cameras at all of the entrances and exits. When school administrators are in their offices and teachers are in their classrooms, it can be difficult for anyone to keep an eye on what is going on in the hallway. Therefore, these areas can often be the site of crime and more. With the help of surveillance cameras, however, school faculty members can keep a closer eye on activity around the school, and they can also catch visitors who aren’t supposed to be in the school at all. Although it is certainly important for children to be able to play and socialize on the playground, outdoor activities can be dangerous. Not only can crimes and other dangerous activities happen on the playground, but children can also get themselves into trouble. Therefore, having surveillance cameras carefully monitoring these areas can help cut down on crime, accidents and general misbehavior, and they also allow administrators to keep a close eye on the exterior of the school property. Outdoor areas, such as in breezeways and in dark corners near the school, can often be the site of bullying, fighting, sexual assault, consensual yet inappropriate sexual behavior, use of drugs and other illicit substances and general violence and misbehavior. It is difficult for faculty members who are inside the school teaching or taking care of other things around the school to monitor these areas on their own, but surveillance cameras can help these individuals see and record what goes on. Not only can this help faculty members and law enforcement agents see and punish this behavior, but it can also work as a deterrent against students who want to get into mischief but don’t want to get in trouble. Not only is it important for you to think about the safety of children while they are on school property, but it is also important to realize that bad things can happen on school buses as well. Therefore, it is important for there to be surveillance cameras on school buses in order to keep children safe. There are a few good reasons to install these surveillance cameras on school buses. First of all, they allow bus drives and school officials to watch out for misbehavior; since it is difficult for a bus driver to pay attention to both the road and all of the children on the bus, these cameras can prove invaluable for taking care of bullying, fighting, misbehaving and other problems. They also serve as video evidence in the event that a crime is committed on the bus or if a child is hurt for one reason or another, and they allow school officials to monitor the driving habits of school bus drivers and the way that they treat their students. Lastly, these cameras can also be used as a means of deterring students and bus drivers alike from doing things that they shouldn’t do. Although there are some people out there who feel that surveillance cameras aren’t appropriate in schools or on school buses, more and more people are beginning to agree that this level of security is imperative in this day and age. Although there should always be certain areas that are kept private, such as bathroom stalls, it is important for school administrators and communities in general to understand where to install surveillance cameras in a school and why installing these systems is so important. 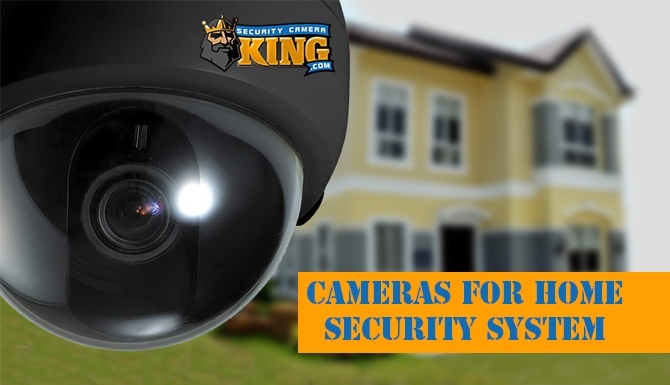 Contact us to learn more about how Security Camera King’s cameras can make schools safer.